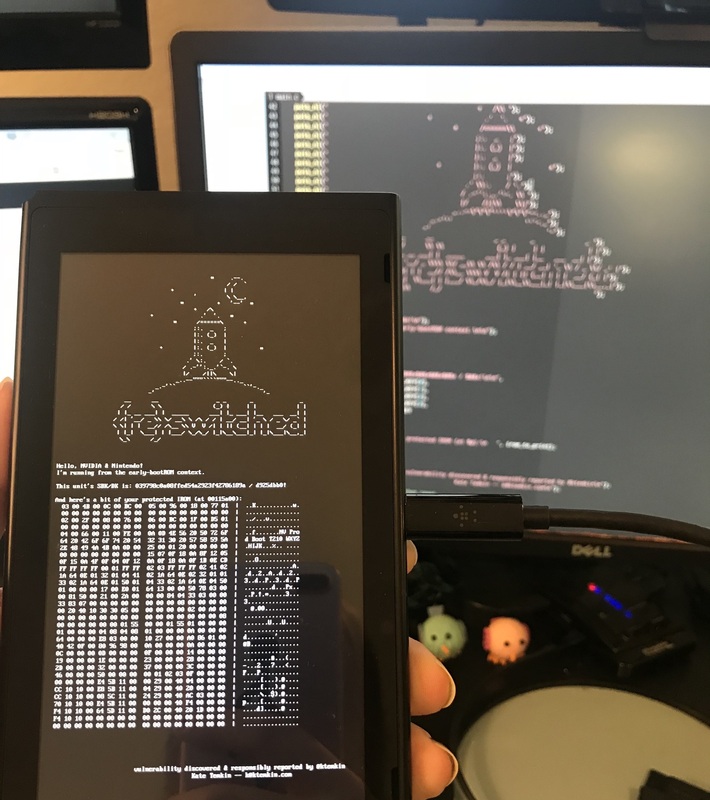 The “proof of concept” payload for today’s exploit shows crucial protected information from the now-exposed Nintendo Switch bootROM. A newly published “exploit chain” for Nvidia Tegra X1-based systems seems to describe an apparently unpatchable method for running arbitrary code on all currently available Nintendo Switch consoles. Hardware hacker Katherine Tempkin and the hacking team at ReSwitched released an extensive outline of what they’re calling the Fusée Gelée coldboot vulnerability earlier today, alongside a proof-of-concept payload that can be used on the Switch. “Fusée Gelée isn’t a perfect, ‘holy grail’ exploit—though in some cases it can be pretty damned close,” Tempkin writes in an accompanying FAQ. The exploit, as outlined, makes use of a vulnerability inherent in the Tegra X1’s USB recovery mode, circumventing the lock-out operations that would usually protect the chip’s crucial bootROM. By sending a bad “length” argument to an improperly coded USB control procedure at the right point, the user can force the system to “request up to 65,535 bytes per control request.” That data easily overflows a crucial direct memory access (DMA) buffer in the bootROM, in turn allowing data to be copied into the protected application stack and giving the attacker the ability to run arbitrary code. On the Switch, the hardest part of the exploit seems to be forcing the system into USB recovery mode. To do this without opening the system requires shorting out a certain pin on the right Joy-Con connector (the bit on the side of the system where the Joy-Con clicks into place). The hacking team at Fail0verflow tweeted a picture of a small plug-in device that can apparently provide this short-out easily, and joked that a simple piece of wire from the hardware store can do so today. Tempkin also tweeted a picture suggesting that simply exposing and bending the pin in question would also work. What makes this exploit particularly worrisome for Nintendo and other Tegra vendors is that it apparently can’t be fixed via a simple downloadable patch; the flawed bootROM in question can’t be modified once the Tegra chip leaves the factory. That’s an important security measure if the bootROM itself is secure but a big problem if the bootROM is exploited, as seems to be the case here (Nintendo and Nvidia were not immediately availableto respond to a request for comment). 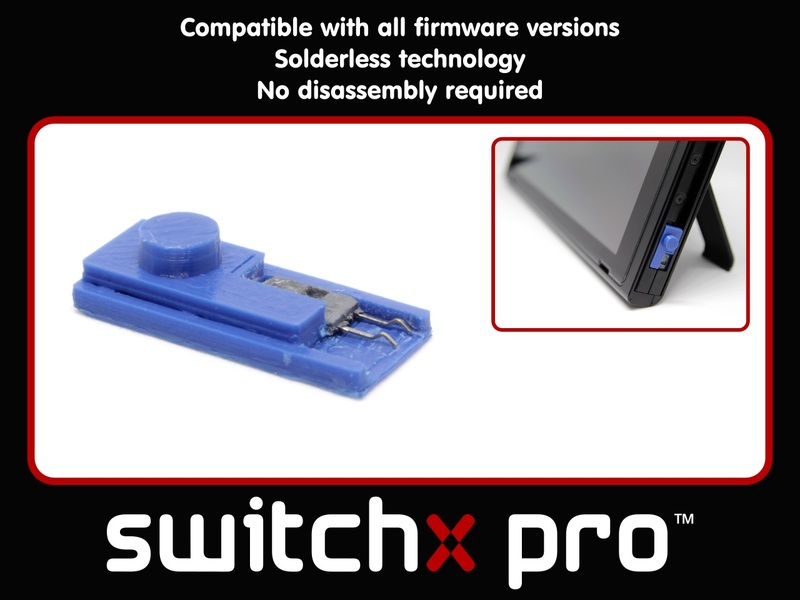 Team Fail0verflow tweeted this picture of a device that can short out the required pin needed to activate the Switch’s exploitable USB recovery mode. That suggestion is unlikely to be of much use to Nintendo, which has already shipped over 14.8 million apparently vulnerable Switch systems to the public. Previous software-level exploits of Nintendo systems (including one for the Switch) could be mitigated via downloable system updates, which Nintendo attempts to force on users by making them a requirement for new software and access to Nintendo’s online servers. That won’t be useful for a chip-level bootROM exploit like this. But Nintendo isn’t completely powerless in this situation. Even if and when the exploit is spread widely, Nintendo may still be able to detect “hacked” systems when they sign on to Nintendo’s servers, then ban those systems from using the Switch’s online functions. Nintendo did something similar when it detected early, pirated copies of Pokémon Sun & Moon on the Nintnendo 3DS. While the potential to aid software pirates is likely of primary concern to Nintendo, there are plenty of legal and handy reasons to make use of an exploit like this. We noted last October how many Switch users seem eager to hack their consoles so they can back up their internal save data to an SD card, protecting them from complete loss in the case of a broken system. Right now, the general public’s use of this exploit is limited to a “proof of concept” python program and payload that can be used to display usually protected information from the Switch’s boot instruction ROM (this method requires tethering the Switch to a computer via USB, but Tempkin suggests in the FAQ that future payloads will allow data to be loaded from the Switch’s SD card). Fuller details of how to use the exploit will be published on June 15, Tempkin writes, adding on Twitter that “guides and information so you can use it too are forthcoming.” And work continues on a custom Switch bootloader called Atmosphère which will apparently take advantage of the exploit to run. That said, Tempkin writes that she’s publicizing the exploit now in part because of “the potential for a lot of bad to be done by any parties who independently discover these vulnerabilities.” There are also hints that other groups were threatening to publish a similar exploit ahead of Team ReSwitched’s planned summer roll out, forcing today’s “early” disclosure. While this is the first public disclosure of this low-level method for hacking the Switch, there’s ample evidence that many other hackers had independently discovered similar methods in their own research. In fact, this kind of exploit appears to have been key to last September’s effort to discover a method to unlock a copy of NES Golf that was hidden on every Switch consoles.